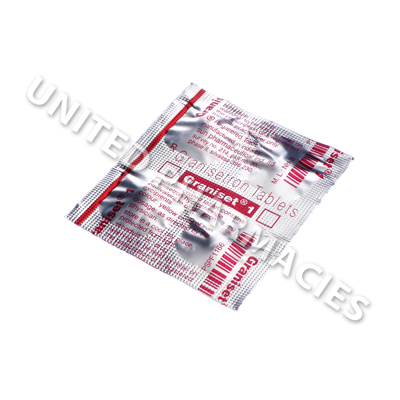 Graniset (Granisetron) is used to help prevent the occurrence of vomiting and nausea in patients undergoing cancer treatment such as radiotherapy or chemotherapy. Graniset (Granisetron) is used to help prevent the occurrence of vomiting and nausea in patients undergoing cancer treatment such as radiotherapy or chemotherapy. Vomiting occurs in chemotherapy patients due to certain cells (called the enterochromaffin cells) releasing a neurotransmitter called serotonin. As a result of this, the serotonin causes a reaction which triggers the 5-HT3 receptors, resulting in vomiting. By blocking the 5-HT3 receptors, this drug helps to provide effective relief from nausea and vomiting in chemotherapy patients. Some people have also used it for preventing postoperative vomiting. 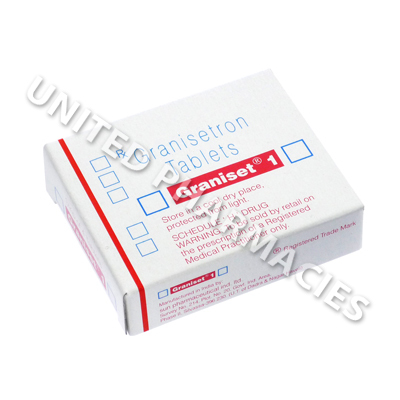 Graniset (Granisetron) comes as 1mg strength tablets for oral administration. Doctors sometimes direct patients undergoing chemotherapy to administer 2mg once per day, with two tablets (each containing 1mg of the active ingredient) taken up to 1 hour prior to the commencement of chemotherapy. As an alternative to this, it is possible that the doctor may instruct the patient to take 1mg twice per day, with one tablet taken up to 1 hour prior to the start of chemotherapy, and the next one taken 12 hours later. Doctors generally tell patients to only take the medicine on days when chemotherapy is due to take place. Your doctor needs to be made aware of all side effects which you experience during the course of treatment. Patients will need to attend the hospital straight away if they experience abnormal muscular movements, irritated skin which is serious in nature, fever, visual disturbances, stomach pain or any other serious side effects that have not been listed here. There is a possibility that this medicine could trigger QT prolongation, a medical disorder which can have a negative effect on the heart and its rhythm. This will require immediate medical attention. If you become sleepy after taking this medicine, do not drive or use machinery. Always use Graniset (Granisetron) as you have been prescribed by your doctor. Never self-medicate or change your dosage without first consulting your doctor. The correct dosage can vary depending on your health, medical history, and the severity of the condition being treated.